Shameless self promotion and Wired Beautiful book giveaway! Wired Beautiful has arrived ... and it's absolutely gorgeous! I'm head over heels in love with the design and photography. 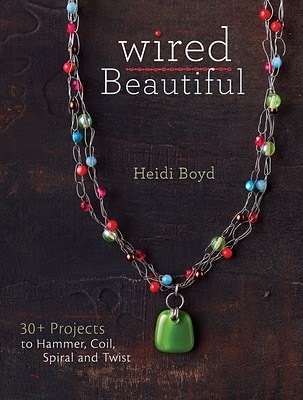 This book is intended for people who love to string beads and are looking to branch into wire work. This approachable book takes you through the basic process of making your own clasps, jump rings, earring wires. Never again will you need to search stores to find coordinating findings, when you can easily make them yourself! The projects also include non traditional wire techniques like wrapping wire cages, using a knitting spool, crochet, and macrame. I destroyed my hands creating wire designs for this book through spring and summer of 2009, then flew out to Cincinnati to photograph the detailed step by step shots that fall. A year later the actual book is in my hands. When the advance copies arrived I was apprehensive to open the package. What a delight to have the finished book exceed my expectations. I'm relishing the great reactions of friends and family. What a relief to know colors and designs I labored over are fresh and current. The box of original projects from the book arrived last week and I can also enjoy wearing my creations! Please leave a comment if you'd like to win a copy of Wired Beautiful, I'll draw a random name Sunday 9/26. Stay tuned I'll be sharing a free project from the book soon. 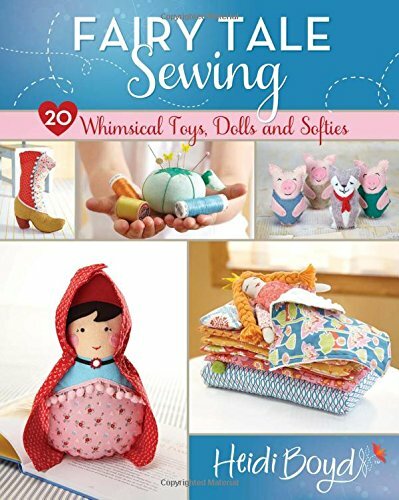 If you'd like to order a copy on sale for $16.49 at My Craftivity please use this coupon code Crafty1035c for 10% off your order your total order of $35.00.